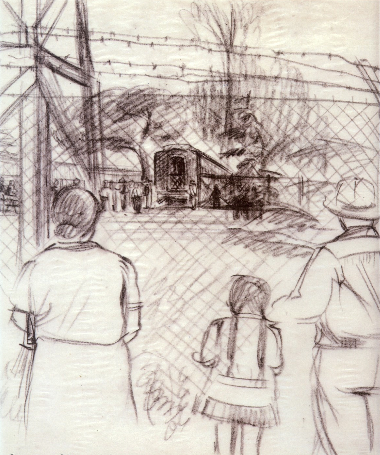 ARCADIA — The Gilb Museum of Arcadia Heritage presents “Life Interrupted: Personal Sketches Behind Barbed Wire, Santa Anita, Summer 1942” by Riyo Sato (1913-2009) through Nov. 2. The museum is honored to display these never-before-seen sketches by Sato, who was forced to leave her home in Palo Alto on May 26, 1942 and was interned at the Santa Anita Assembly Center, built on the grounds of Santa Anita Park. From there, she and her family were removed to Heart Mountain Relocation Center near Cody, Wyo. 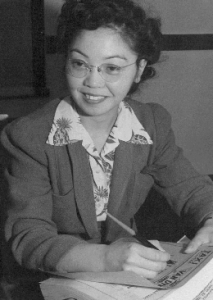 Sato was educated at the California College of the Arts (formerly California College of Arts and Crafts) in Oakland, and completed her bachelor’s degree in art education in 1940. While incarcerated at Santa Anita, she continued sketching, to keep her skills sharp. At Heart Mountain, she worked as an art instructor in the camp school. After the war, she earned her master’s degree in design and art education at the Illinois Institute of Technology in Chicago, and worked for over 30 years teaching art to junior and high school students. These quick sketches offer a glimpse of everyday life in the early stages of the internment experience, a dark time in America’s history. They will be on exhibit along with biographical information and photographs of Sato. This exhibit was made possible by her family. The museum is located at 380 W. Huntington dr., Arcadia. Hours are Tuesday through Saturday, 10 a.m. to 12 p.m. and 1:30 to 4 p.m. For more information, call (626) 574-5440 or visit www.ci.arcadia.ca.us/.